Who says we had to compete with one another for the same jobs in a global economic arena ? Is free trade economics a structural sin against all in society? Forever where Valentine Day is Every Day. Are You A Gladiator In The Global Economic Arena? arklineart, toonpool ray tapajna, ray tapajna living art. 1998, we now have thousands of references and resources online. single year when President Clinton was proclaiming economic prosperity. his Art that Heals live and in motion. making all decisions at the lowest level possible. when her husband pushed the passage of free trade economics. trapped in a failed process in the global economy. global economic world with the economic day being turned upside down. Economic Hit Man- John Perkins. tools for sites and businesses to promote their endeavors. rare art prints and note free collectible deals with buys. American Dream Reversed for more than a million references related to this artwork or see http://ray-tapajna.artistwebsites.com and note http://art-that-talks.filetap.com We trace the history of free trade economics back to 1956. Online since 1998, we now have thousands of references and resources online. Main sites: Original main site and now is resource for a history and study of free trade economics - suggest students and educators review it. Online since 1998, tracing the history of free trade that demonstrates present day free trade as and economic process not trade as historically practiced and defined. It is more about divorcing investments from production and moving production anywhere in the world for the sake of cheaper labor markets. It is about manipulating the value of workers and labor for the sake of more profits. It degrades and deflates the value of workers and labor for this purpose. It is an economy based on making money on money instead of making things. In the process workers our insourced and outsourced for this purpose. http://www.tapsearch.com/workers-dignity-betrayed - about the grand betrayal of workers and the free enterprise system. Includes for Whom the Bell Tolls - a list of jobs losses and company close downs in just a single year when President Clinton was proclaiming economic prosperity. Millions lost their jobs and businesses during the period in history due to free trade economics. http://www.tapsearch.com/clinton - the story of Clinton and his part in Reversing the American Dream in the Land of "is" where everything depends on what each person's definition of "is" -is. 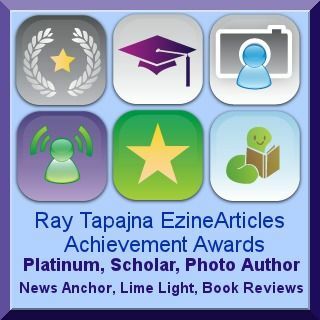 http://www.tapsearch.com/about-ray-tapajna This takes you through my life experiences and how the free market was always reserved for just a few to enjoy. Here I also have images of my living healing art based on color therapy and imagery studies live and in motion. http://www.tapsearch.com/pope-benedict-economic-encyclical - a review noting Pope Benedict suggesting the use of subsidiarity which means making all decisions at the lowest level possible. http://www.tapsearch.com/backfire - HIllary wasn't home baking cookies when her husband pushed the passage of free trade economics. http://www.tapsearch.com/tradetraps - How the American people were trapped in a failed process in the global economy. http://www.tapsearch.com/realworldnews- Real world news from the streets of U.S.A. as people living out their lives and economic day while having very little power over the proces. http://www.tapsearch.com/bewildered-global-economy - Our dysfunctional global economic world with the economic day being turned upside down. http://www.tapsearch.com/confessions-for-history - Comparison of Mother Teresa and Alan Greenspan with story about the Confessions of an Economic Hit Man- John Perkins. Perkins tells about the real money powers that rule our economic lives. As a completely free courtesy, we provide unlimited free services and tools for sites and businesses to promote their endeavors. http://www.tapsearch.com/free-collectible-deals ( Free Silver Dollar deals too. ) Our inspiration to keep our efforts going for workers dignity, local and value added economies, the free enterprise system and the social gospel where all have a right to enjoy a just reward for the fruits of their labor ...... is the following: "Do not depend on the hope or results, When you are doing the sort of work you have taken on, you may have to face the fact that your work will be apparently worthless and even achieve no worth at all, if not perhaps, results opposite to what you expect. As you get used to this idea, you will start more and more to concentrate not on the results, but on the value , the rightness, the truth of the work itself. -"